With 60 degree weather on Thursday, we can almost believe that the groundhog was correct and we will have an early spring. Then, today started with temperatures in the 20’s. 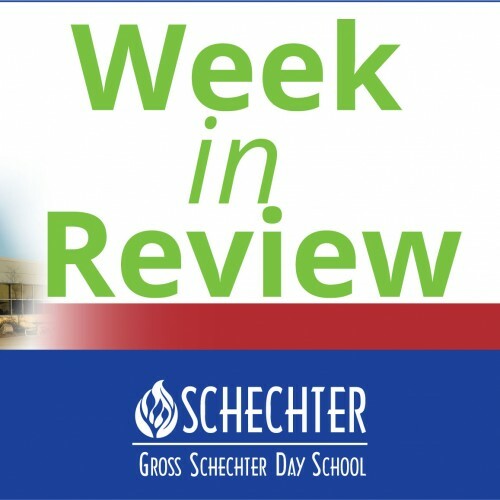 Luckily, we are very busy inside the walls of Gross Schechter learning and focused on our many activities. The re-enrollment portal is open and we are excited about the 2019-2020 school year. The school continues to grow and with that growth we continue to expand programing and activities. The preschool is filling up quickly, so please submit your online applications as we will be opening up ECC enrollment to the general public next week. To re-enroll your student(s), please log into the Parent Portal, and under the “My Account” menu, select “Online Registration.” From there, follow the prompts to complete each page of the contract. If you have any questions, please contact Janna Dorfman at jdorfman@grossschechter.org or 216-763-1400 x417. We look forward to another great year with your family! Our middle school students enjoyed participating in the Great Lakes Theater Workshop this week. Using an interactive, hands on approach, a team of two specially trained actor-teachers visited our school for five consecutive days, teaching five classes per day. The actors bring scripts and props to turn the students into an acting troupe, exploring classic literature from an actor’s point of view. There was a lot of role playing and fun activities in which our students participated. Each year this is a highlight of the year. If you haven’t do so already, you need to stop by a home basketball game to not only watch our teams play, but also enjoy the performance of our cheerleading squad. Gross Schechter may have the only active elementary cheerleading group in the area! They are so much fun to watch and they add great spirit to our games and school. Gan Gesher, a free weekly program on Monday mornings, which is a bridge to preschool. It is filled with songs, stories and Jewish holiday celebrations. Kesher, connects new moms with their babies and others in a free six week series which begins February 13. Shalom Baby, a free 7 course for expectant parents which focuses on the joys and surprises of parenting beginning March 6. Have you participated in a Drop Everything and Read (DEAR) time at home? Everyone at Schechter does each week as part of the amazing Read for Life Program. Were you one of the hundreds that attended the production of Joseph and the Amazing Technicolor Dreamcoat? 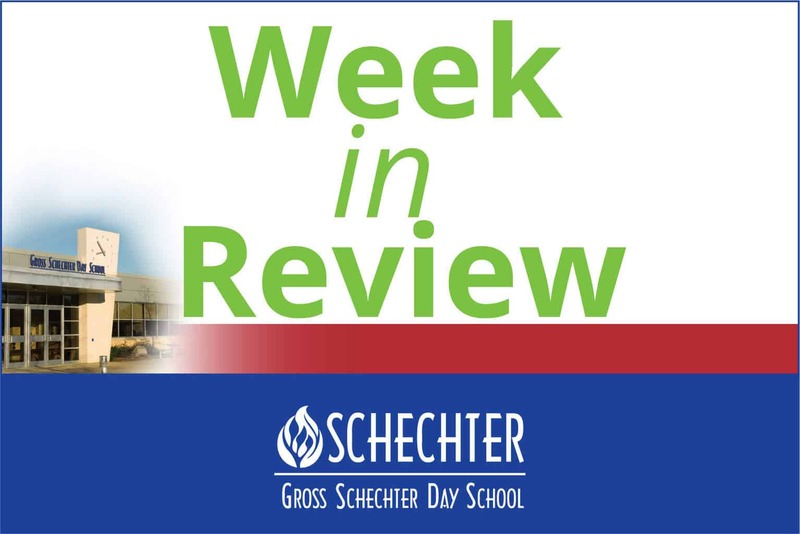 Can you believe that over 100 Schechter students, grades K-5, participated with tremendous enthusiasm? Nowhere is there a production like a Schecher musical. Special thanks to Sheri Gross, Carolyn Clerget, our amazing teachers, and of course all the students who participated. It was AMAZING! We have many after school activity opportunities which requires students to be picked up after school hours. Please let us know who will be transporting your child if it is someone other than a parent. We need to make sure every child is accounted for and they are transported home safely. No student may be left at school unattended by an adult! Please make sure that you drive slowly as you enter the parking lots, stop at the appropriate stop signs and watch for parents and students who may be walking in the parking lot as the Mandel JDS ECC is still utilizing classrooms at B’nai Jeshurun due the water pipe breakage last week. Speakers of modern Hebrew know that litrom means “to donate.” “Donors” are known as tormim, and terumah is a donation. The root is a simple one—tav, resh, mem. The word would seem to trace back to this week’s Torah portion, Parashat Terumah. There is a beautiful lesson in this etymology. We might view our donations to Gross Schechter, our synagogues, Federation, et cetera as mere transfers of funds; we are helping important causes, but the money itself just goes from this account to that account. In Hebrew, though, something else is happening: we are elevating the spiritual level of our possessions by dedicating them to a higher purpose. May we be inspired by the Torah portion to give all we can, for the good of our community! The precious items that that were collected in this parashah went to construct the mishkan, or desert sanctuary. What are some reasons that sanctuaries and synagogues are supposed to be beautiful? Donating can feel like a chore or a special act. What can you do to make it feel more special? Could the organizations to which you donate do anything different to make the process feel sacred?